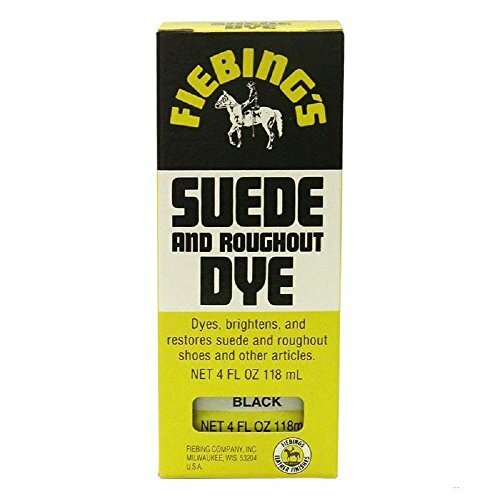 Dyes, brightens, and restores suede and roughout shoes, boots, handbags etc. Not for man-made fabric. 4 oz. bottle. Single wool dauber included. For best results, clean your suede with a brush and a cleaner to remove dirt and shiny areas before applying the dye. Check out the instructions tab below for step-by-step directions.